Around the board gaming community there were plenty of pranks going on yesterday. Lets take a look at some of the game-related goofs that popped up. *Coupon code actually unlocks 15% off eligible items. 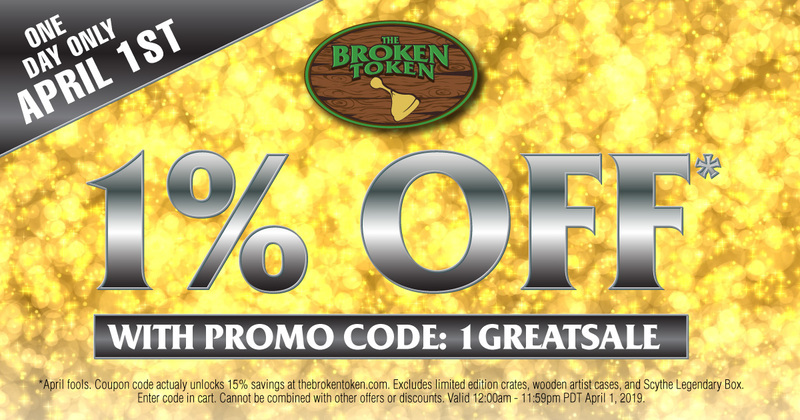 Coupon does not apply to Limited Edition products, Wooden Artist Cases, or Scythe Legendary Boxes. Cannot be combined with other offers or discounts. Coupon expires at 11:59pm PDT on April 1, 2019. Z-Man Games and Renegade Games both decided to go into the cereal business for April Fools. The first step to stopping a global pandemic is a healthy breakfast. 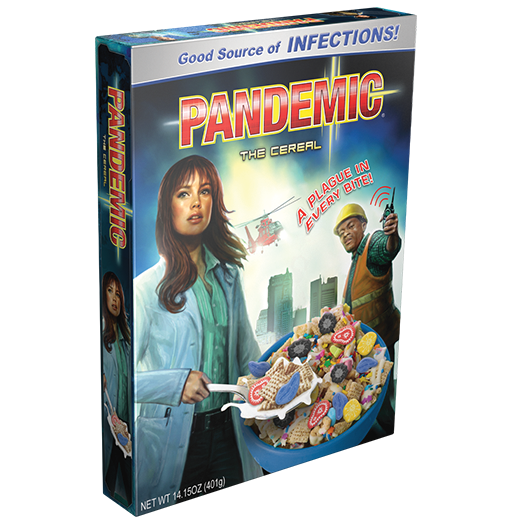 Filled with fiber, a satisfying crunch, and marshmallow diseases, the Pandemic Cereal is the most scientifically delicious way to start your day! A PLAGUE IN EVERY BITE! 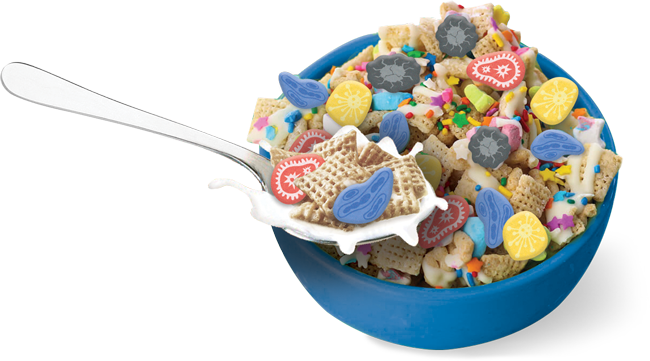 The Pandemic Cereal features frosted oats, crispy rice squares, and four multi-colored marshmallows. Take a bite out of the pandemic with a big spoonful of marshmallow diseases. Packed with 12 vitamins and minerals to help you gear up to save the world, this special limited-edition cereal will only be on shelves for a short time. Can you save humanity before lunch time? 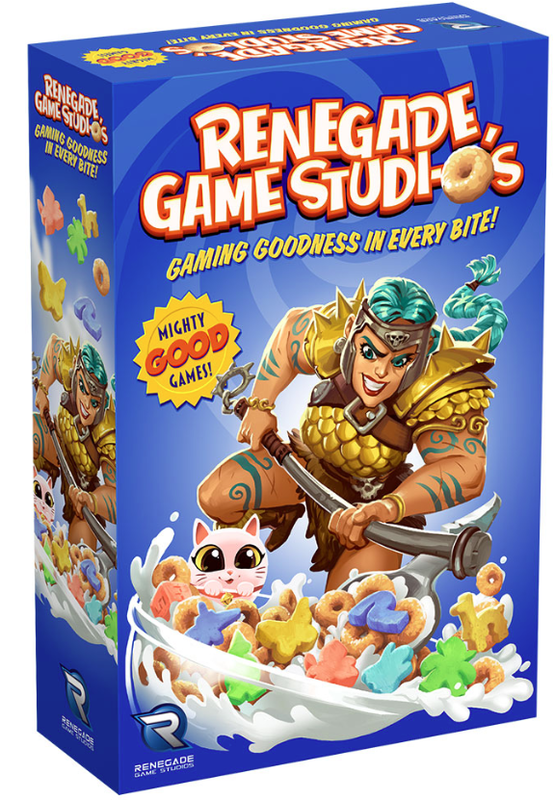 “Renegade Game Studi-Os” will be a standalone breakfast product that is also a fully-compatible snack expansion for the entire Renegade Game Studios catalog. Dry cereal is an ideal food at the gaming table: it can be eaten without utensils and packs a flavorful punch without the risk of contaminating gaming boards and cards with undesirable cheesy dust or grease stains. In your adventures across Arkham, you have dug for the truth behind eldritch mysteries and been hounded by supernatural terrors. You have been transported to the farthest reaches of the Earth and beyond, and opened your mind to possibilities that would push others to madness. 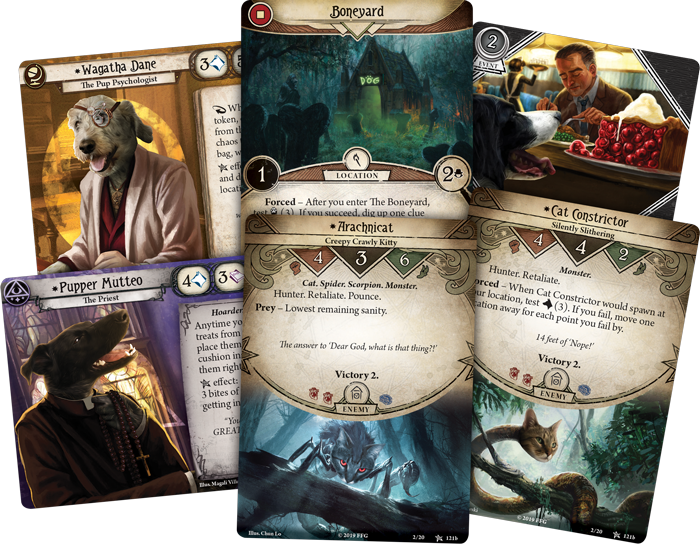 Now, you have the chance to see the Arkham Horror Files universe through new eyes. For some, it may even make your eyes water and throat close with excitement. 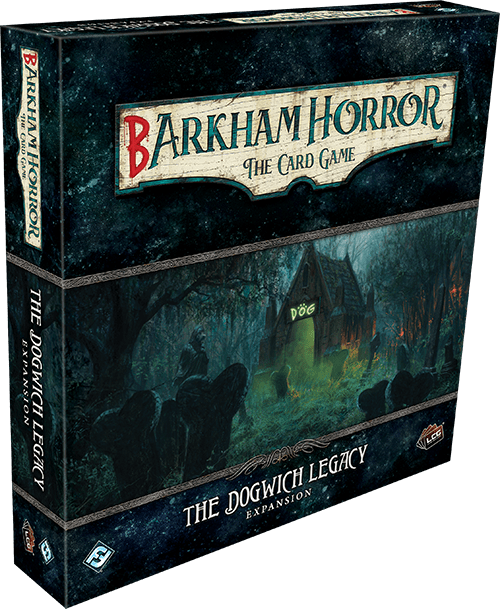 Fantasy Flight Games is proud to announce The Dogwich Legacy, the start of a new cycle for Barkham Horror: The Card Game—now available for pre-order at your local retailer or online through our website! 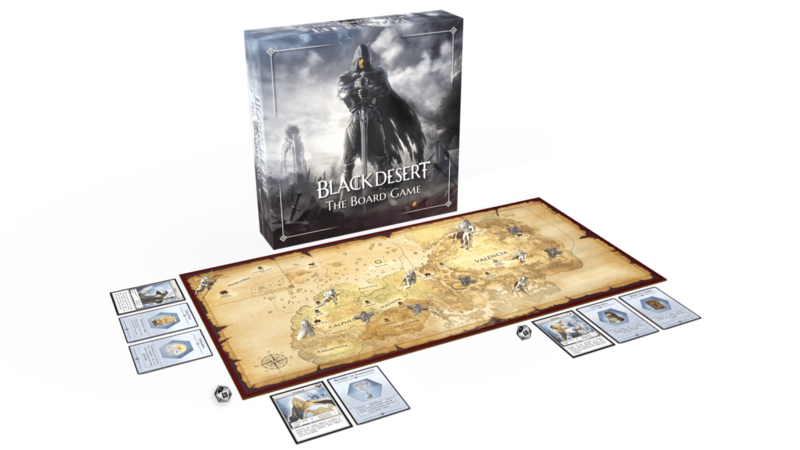 Along with the adventure itself, when you pre-order this deluxe expansion, you will receive a special pre-order bonus as your game will come in a box built of the highest quality cardboard—perfect for sits if you fits. Cthulhu Wars may have made a silly cat-themed faction, but unlike the rest of the pranks listed, this one is real. Yes, you can back the cats from beyond the pale on Kickstarter now. Check out the Cthulhu Wars: CATaclysm Kickstarter here. What were your favorite April Fool’s pranks from yesterday? Let us know in the comments below!